PuzzleMad: He's opinionated, abrasive, very talented and a friend! He's opinionated, abrasive, very talented and a friend! I'm a day early! I'm working in trauma all day on Sunday and I didn't want to miss out on producing a review for you so I used a couple of hours today to put something together for you. 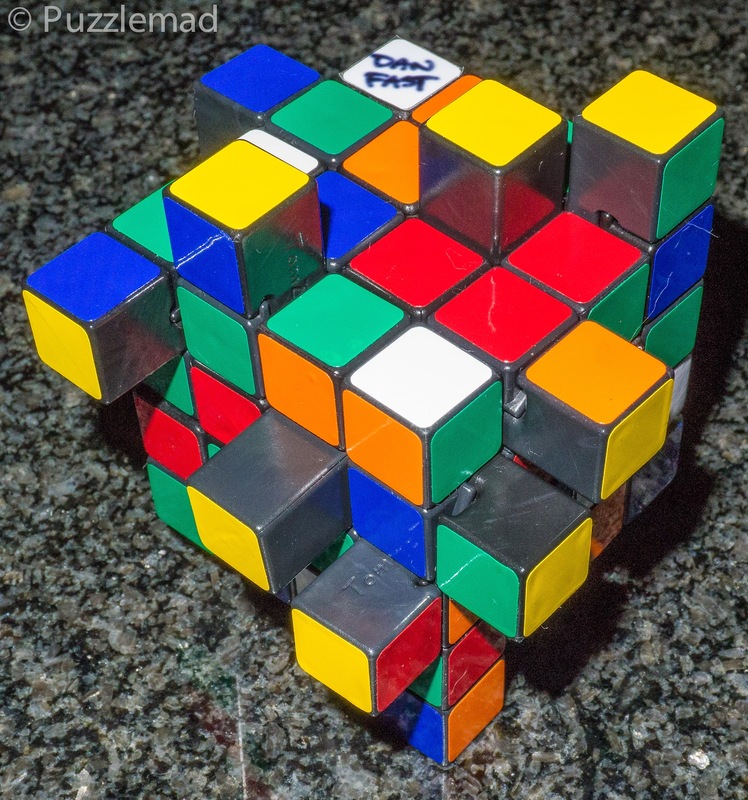 I know that the twisty puzzlers amongst you immediately know who I'm talking about - it can be none other than Dan Fast aka CrazyBadCuber and also now after a career change the CrazyBadTrucker. Over the years he has appeared and disappeared (because of arguments or disagreements) from various twisty forums including my favourite Twisty Puzzle forum. He's upset quite a few people along the way so why on earth would I even think about having an article about him? Well over the years, I have come to consider him a friend! We chat fairly frequently on FaceBook and I've always found him to be very polite. He has many reasons for his personality which the world saw in a very candid interview (now made private) that he did with Rline on the TwistyPuzzling YouTube channel and let's just say that he has really done very well for himself despite occurrences in his past. One thing to say about Dan is that when he puts his mind to something, he really throws himself into it and does it properly. He started with cubing and became a fairly good speedcuber and then moved onto other twisty puzzles and now has the most extensive collection of puzzle mods by Traiphum anywhere in the world (something I'm rather jealous of) and then he went into puzzle modification himself and made quite a few fabulous puzzles (more of that later) which have sold for large sums of money. His recent "fetish" has been for burr puzzles and he and I have communicated a lot about these. He solves them rather like me - he basically moves things randomly hundreds of times until he finds what he is looking for and then progresses by luck! 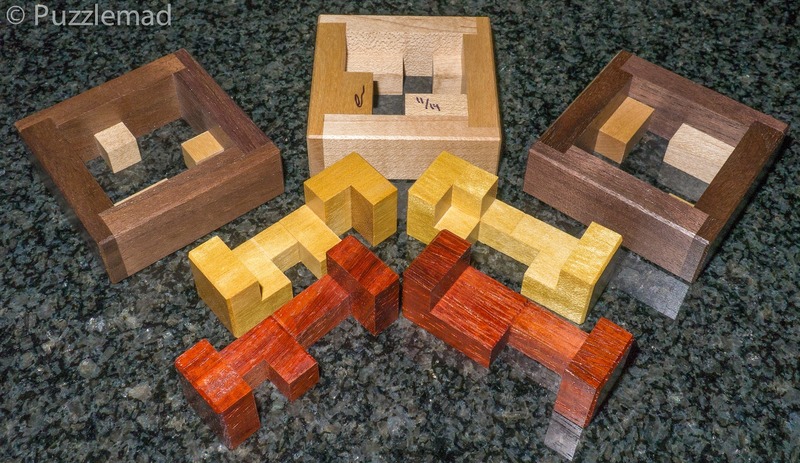 It's sad for me to admit it but whilst I adore burr puzzles and the gorgeous woods and craftsmanship, I (and he) are not particularly good at them but we just can't stop trying to solve them and can't stop collecting. I did have a small try at designing them - most modern designers have learned to utilise the incredible Burrtools software from Andreas Röver to produce more and more complex burr puzzles of ever higher level of difficulty. My ability (and time to stick with it) was very limited and I produced only a few poor designs but Dan, as is his usual, stuck doggedly with it and mastered the program bit by bit (a teeny little bit of help from me) and has designed some fabulous puzzles which have even made it to production by craftsmen. Dan is aware that not everyone wants super high level burrs but we want puzzles that are interesting in shape or solve process. Two of these I will show today. Dan is a new designer and brought a fresh idea to the table with Shake Something. This level 14 packing puzzle uses four burr pieces in a box and is anything but simple. The name comes from the fact that you have to turn the box various directions and shake it to accomplish some of the moves. While all the pieces are visible, many of the underlaying interactions are not, so this is a much trickier puzzle than the piece count would lead you to believe. 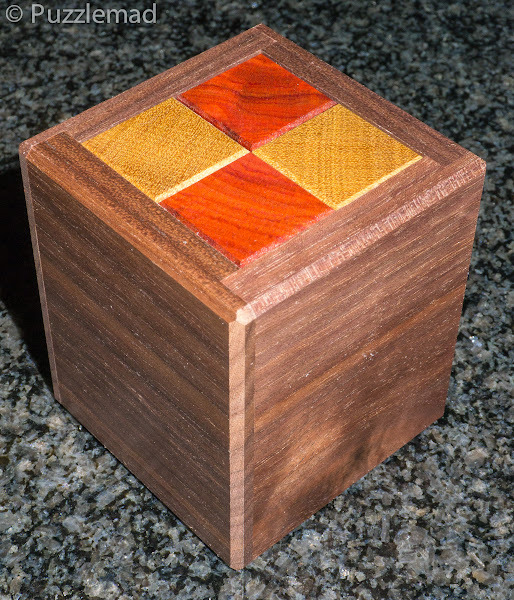 This is a very fun puzzle, and reminds me of the Hazelgrove box in many ways. When this one was announced by Eric I just had to have it! Firstly because Dan was a friend, but also I couldn't resist something different to try. It is not huge at 2.5" square and 2.8" high but is very attractive as you'd expect from Eric. Everything is flush with the surface so you need to turn it upside down to find the first move. After this it's a matter of tilting it this way and that and noticing that pieces slide into or under others and then maybe pushing and pulling to make them interact. The movement is not all progressive towards the exit and there are a couple of short blind ends. At only level 14 it is not difficult and is one of the few burrs that I have actually solved by watching the interaction and managing to work out how to solve non randomly! The pieces are lovely and made with supreme accuracy! With burrs like this, I always try to reassemble them without resorting to Burrtools (unlike the more complex ones I own). I scrambled the pieces and left them for an hour or so and came back to it. The reassembly is even more fun when attempted this way. You know that there has to be a checkerboard pattern and then placement of the pieces can only occur in a few ways. It took me quite a few hours to reassemble but I actually managed it! Of course, I did make the Burrtools file for it after that - just for the fun of it! 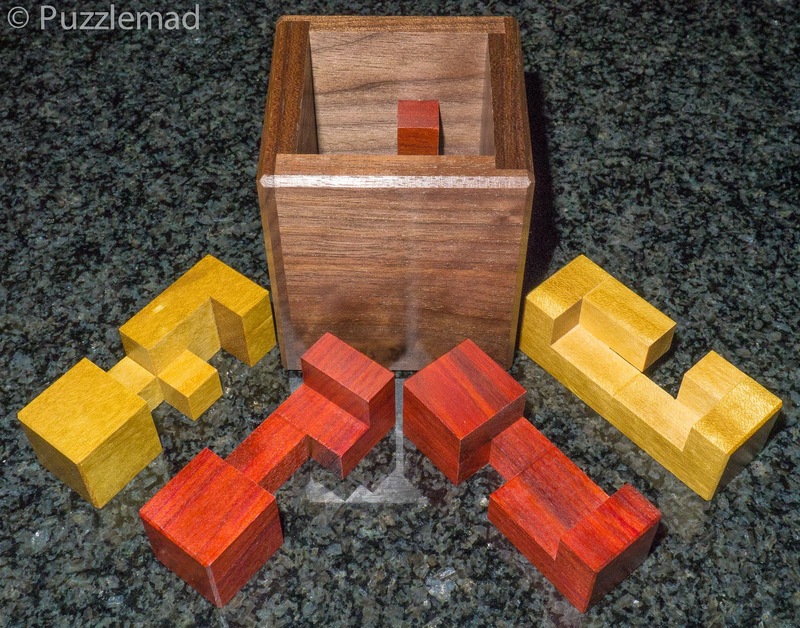 Dan's new puzzle is aptly named; it's very difficult and may rupture your brain! With a super tricky level 21.7, this puzzle is no joke. The four internal burr pieces interact with the three looped cage pieces to create a series of gates. The interaction creates an evolving mechanism that contains circles and dead ends. Simply disassembling this puzzle is a challenge! I reviewed this one here and loved it - unfortunately it has sold out now but these higher level burrs don't all go at once so keep an eye out for future offerings from Dan. I know that he has discussed other designs with Eric and I can't wait to see them. Looks like a 4x4x5 cuboid? It's much harder than that - it's an iCube! If you understand the basic premise of these, then it is not particularly tough to solve - it just involves being able to solve the last 2 layers of a 4x4 simultaneously! Sounds awful to all you non-twisty puzzlers out there but to us twisty freaks this is a huge amount of fun. 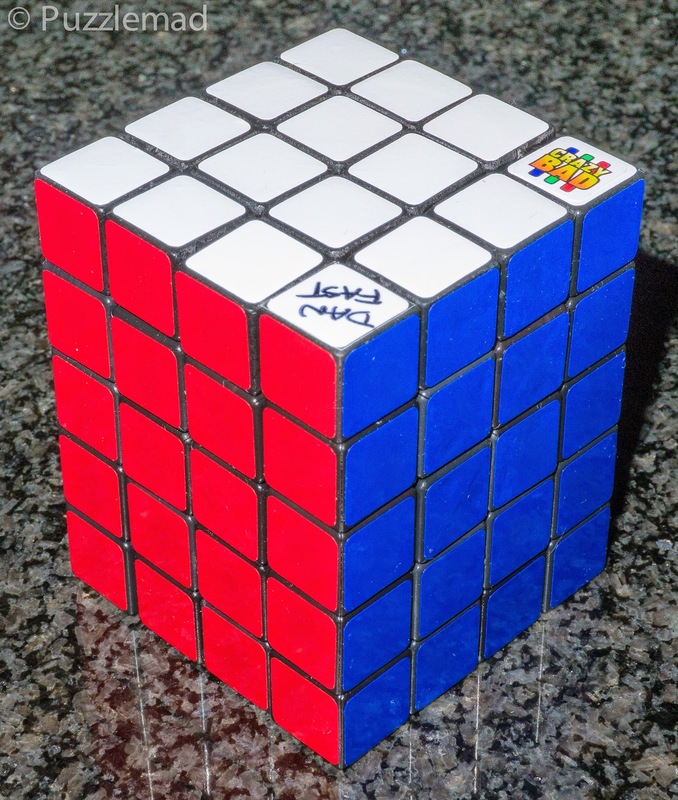 It only becomes really challenging when the designer takes it to a whole new level as Nikos Liapis did with the 5x6x7 floppy icube extreme which was my number 3 puzzle of the year! The extreme iCube is incredibly tough (although still great fun) but Dan's version is more doable by the "normal" twisty puzzler. 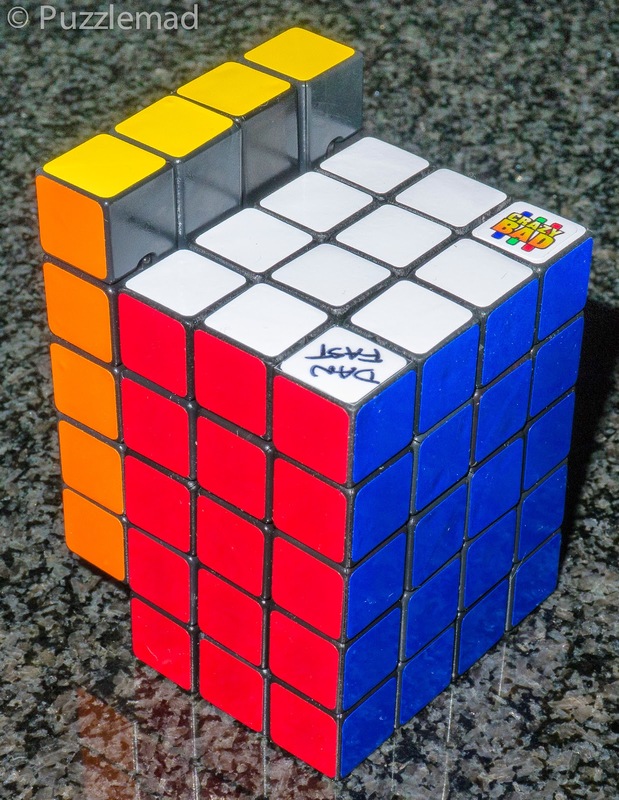 Anyone who can solve a 4x4 should be able to solve Dan's icube extreme with a little thought. If you ever think about making one yourself, or see one of Dan's come up at auction then don't hesitate, just buy it! 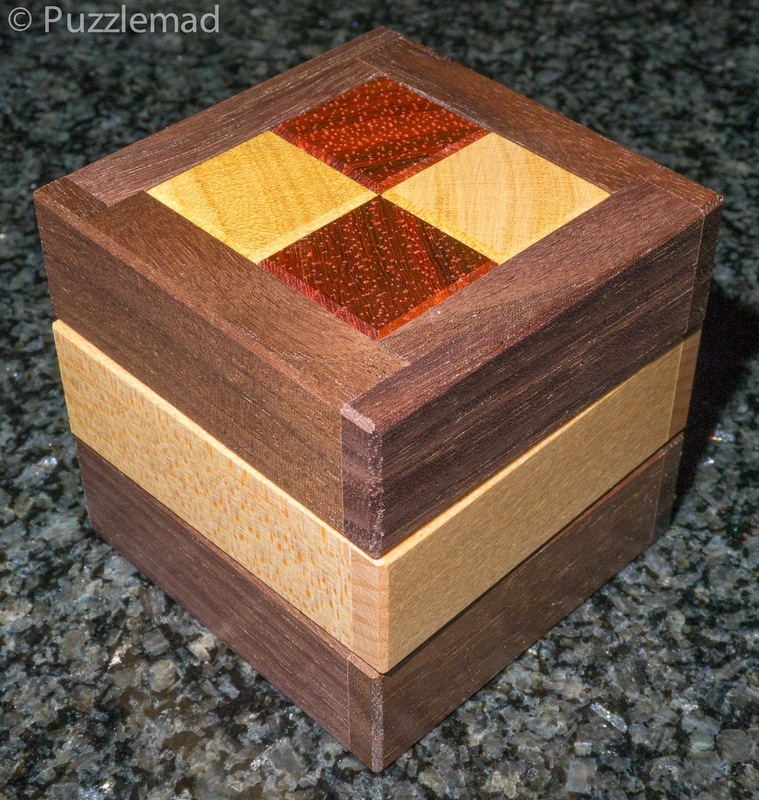 I'm hoping that one day I can get one or more of Dan's other handmade puzzles. The "very candid interview" appears to be private. At least I can't open it. So it is! That's odd - it worked on my home computer! For a second I thought your title referred to sandpaper, the "woodworker's best friend"! !